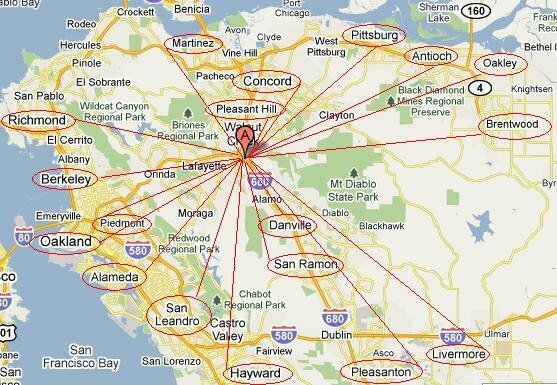 The Sewing Machine Shop, Inc.
Centrally located in the greater Bay Area, our location is convenient to many cities, including Sacramento, San Francisco, San Jose and everywhere in between. 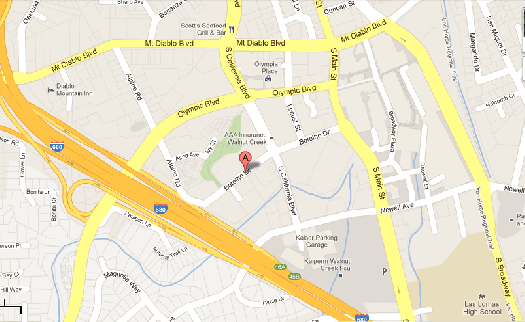 Directions from major freeways and a more detailed map of our location at 1661 Botelho Drive., Suite 180, Walnut Creek, CA 94596 are below. Take the Olympic Blvd exit. Turn left at Olympic Blvd. Turn right onto S California Blvd. Turn right onto Botelho Dr.
1661 Botelho Dr. #180 will be on the left. Take the I-680 S exit toward San Jose. Take the Mt. Diablo Blvd/Walnut Creek exit, on the left. Stay straight to go onto Mt. Diablo Blvd. Turn right at Olympic Blvd.